I hate to say this, but whenever I watch “NORTH AND SOUTH: BOOK II”, I usually heave a sigh of relief after the last episode fades away. I have never done this with the other two miniseries – “NORTH AND SOUTH: BOOK I” and “HEAVEN AND HELL: NORTH AND SOUTH BOOK III”. But with the 1986 production, I usually do. There is something about watching this particular production usually ends up as hard work for me. Episode Six of “BOOK II” began at least a month after Episode Five ended. This episode began with Orry Main hiring a former Pinkerton detective to find his missing wife, Madeline Fabray LaMotte Main. The latter continues her efforts to feed Charleston’s poor by appealing to Union general William Tecumseh Sherman. With nothing else to do, Orry has no choice but to help the Confederacy defend Richmond, Virginia; which is under siege from the Army of the Potomoc under Ulysses S. Grant. 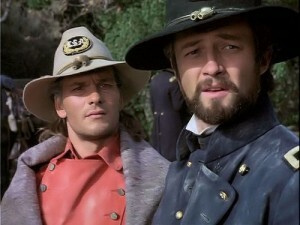 The episode eventually leads into the Battle of Fort Stedman, in which Orry, his cousin Charles, George and Billy Hazard all participate. The Union victory at Fort Stedman eventually lead to another military victory for the Army of Potomoc and Confederate General Robert E. Lee‘s surrender to Grant at Appomattox Court House. Once the episode puts these series of historical events behind, Episode Six refocuses on the main characters’ personal lives. Episode Six closes more story arcs that began in Episode One than the previous episode did. 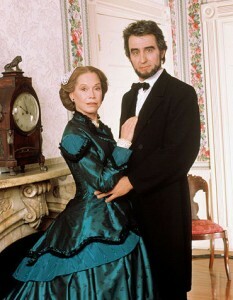 The consequences of Charles Main and Augusta Barclay concludes in one stage and begins in another that will continue in 1994’s “HEAVEN AND HELL: NORTH AND SOUTH BOOK III”. The war’s end leads to a final romantic reunion for Billy and Brett Hazard. In fact, the Charles/Augusta and Billy/Brett relationships were not the only ones that came to fruition in this episode. Episode Sixalso resolved the romance between Semiramis and Ezra, with the former finally acknowledging her love for the latter. And yes, Orry finally finds Madeline and their son with the help of George and Madeline’s attorney, Miles Colbert. With war, there is always the chance for tragedy. While tragedy of one kind marked John Jakes’ 1984 novel, another kind of tragedy ends Virgilia Hazard’s relationship with Congressman Sam Greene and her character arc, which began in “BOOK I”. Tragedy also occurred during the attack upon Mont Royal near the end of the episode. Irony also seemed to be hallmark of this attack, for it was led by an alliance between former Mont Royal slave Cuffey and former overseer Salem Jones. I found it ironic that a black man and a white man, former enemies due to their positions as slave and overseer, should form an alliance against the very family that had controlled their lives in one form or another. Non-elites of two different races uniting against the elite. Talk about a rich man’s worst nightmare. There was a good deal about Episode Six for me to praise. One of the miniseries’ strengths has always been its battle scenes. And this particular episode featured an exciting interpretation of the Battle at Fort Stedman. As I had earlier noted, this episode also featured a poignant recreation of the Surrender at Appomattox. There were some dramatic scenes that I found very satisfying. One of them included George and Orry’s emotional reunion following the Appomattox surrender and Charles’ return to Barclay’s Farm. A part of me realizes this might be wrong, but I felt a great sense of satisfaction in the way Virgilia dealt with her situation with Congressman Sam Greene. 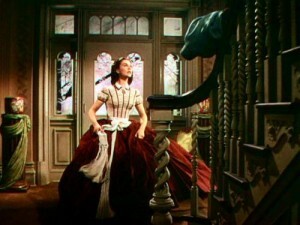 However, her act landed her in serious legal trouble and a very tearful reconciliation with her brother George. Last, but not least was Cuffey and Salem Jones’ action-packed assault on Mont Royal. 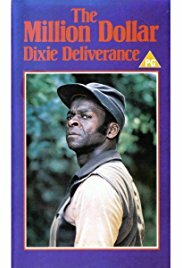 Judging from Fletcher’s filmography, I suspect that “NORTH AND SOUTH: BOOK II” was his best work on screen – movies or television. 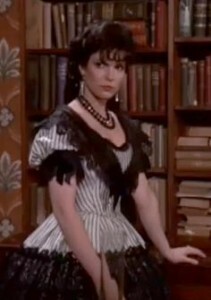 “NORTH AND SOUTH: BOOK II” also featured some fine performances. Aside from one particular scene that I found particularly hammy, I was satisfied with the performances featured in this episode. For me, the best performances came from Patrick Swayze, Lloyd Bridges, Parker Stevenson, Forest Whitaker, Tony Frank, David Ogden Stiers, Jean Simmons, Inga Swanson, John Nixon. 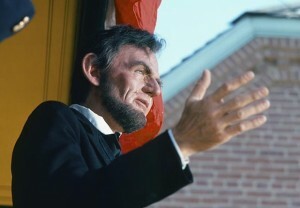 I was especially impressed by James Read and Kirstie Alley’s performances in the scene that featured George and Virgilia’s emotional reconciliation and discovery of President Abraham Lincoln’s assassination. And the poignancy in the Appomattox surrender sequence greatly benefited from Anthony Zerbe and William Schallert’s portrayal of Generals Ulysses S. Grant and Robert E. Lee. On a minor note, if you look carefully during the miniseries’ last half hour, you might spot future star Bryan Cranston as a Union officer whom George questions about Orry whereabouts, following the Fort Stedman battle. Although there seemed to be a good about Episode Six that strikes me as praiseworthy . . . and there is, I found a good deal that I found problematic. Which strikes me as a pity, for the emotional levity featured in this episode could have made Episode Six my favorite in the entire miniseries. Alas . . . I have too much to complain about. Three of my problems centered around the Charles Main character. First of all, two months after he last saw Augusta Barclay in Episode Five, Charles discovered that he was the father of an infant boy. Apparently Augusta had died while giving birth to their son. Unfortunately . . . Augusta DID NOT look pregnant during her last meeting with Charles. And considering that they had made love in the previous episode, her pregnancy should not have come as a surprise to him. To make matters worse, young Augustus Charles Main looked as if he had been conceived nearly two years ago. Honestly. The kid looked at least one year old. And Charles and Augusta had started their affair eleven months before the end of the war. Unlike Jakes’ novel, Charles found his son being cared for by Augusta’s South Carolina relatives in Charleston. Really? Was that necessary? I found it ridiculously convee-ee-ee-ient that Augusta had Charleston relatives, who managed to be in Virginia at the time she gave birth to her son. My second problem with Charles is the fact that it took him less than a week to travel from Spotsylvania County, Virginia to Charleston, South Carolina. Less than a week? On horseback? Charles’ journey should have taken him longer. This seemed like an extreme reversal of Brett and Semiramis’ ludicrous four-month journey from Washington D.C. to Mont Royal. Quite frankly, I felt a bit put out that the screenwriters (which include John Jakes) dumped a tragic ending to Virgilia Hazard’s story arc. 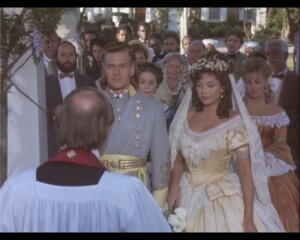 Unlike the miniseries, Virgilia survived her affair with Congressman Greene and ended up marrying another black man – the same man who had befriend George, Constance and Brett in the novel. Apparently, Wolper Productions felt that since Virgilia’s five-year marriage had ended in tragedy, it seemed proper to give her a tragic ending, as well. Or perhaps many of the trilogy’s fans had found Virgilia’s radical politics and marriage to Grady so off-putting that David Wolper and the screenwriters had decided to appease them by giving her a tragic ending. Regardless their reason, I found Virgilia’s tragic ending very annoying and clichéd. 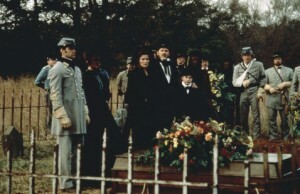 As much as Patrick Swayze’s portrayal of Orry Main had impressed me in this episode, there is one scene in which his acting skills failed to impress. I hate to say this, but I cannot hold it back. I refer to the scene in which Orry finds the body of his mother Clarissa Main, following the attack upon Mont Royal and expresses his grief. Can I say . . . OVER-THE-TOP? Seriously. I found it to be one of the hammiest moments in the entire television trilogy. But the episode’s real problems were made obvious during the Fort Stedman battle sequence. Granted, I was impressed by the visual style of this segment. But I noticed the screenwriters went out of their way to ensure that the major four military characters – George, Billy, Orry and Charles – all participated in this battle. In ensuring this, the screenwriters committed a great deal of inconsistencies and bloopers. Orry led a group of infantry troops into battle for the first time, since the Battle of Churubusco, nearly eighteen years earlier. Personally, I never saw the need for him to be put into the field. The Army of Northern Virginia still had enough commanders to lead men into battle. One of the officers under his command proved to be Charles. Charles? Charles, who spent the entire war as a cavalry officer and scout under Wade Hampton III? I am aware that Charles had led infantry troops during the Battle Antietam, during Episode Three. And I had pointed that this was a major blooper. Yet, the screenwriters repeated this same blooper by allowing him to lead infantry troops again during the Battle at Fort Stedman . . . this time, under Orry’s command. Also leading infantry troops for the Union was George Hazard. Now, I am baffled. George had command of Artillery troops during the Battle of Gettysburg in Episode Three and when he was captured during Episode Four. Could someone explain why the screenwriters had decided to have him lead Infantry troops in this episode? 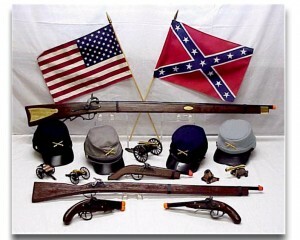 Among the troops under George’s command proved to be his brother Billy, who continued to serve with the Sharpshooters. It was bad enough that the writers had Charles serving under Orry during this battle. But they had Billy serving under George, as well? There is more, folks. Not only did Billy continued to serve with the Sharpshooters, he also seemed to be in command of them. For, I saw no other officers during this scene. I am aware that Hiram Burdan was no longer in command of this regiment by the end of the war. But what happened to the other officers in the regiment? What happened to Rudy Bodford and Stephen Kent? They seemed to have disappeared. And how did Billy end up in this position, considering that he had spent nearly 10 months AWOL between the summer of 1863 and the spring of 1864? What the hell, guys? Come on! Do not get me wrong. There is still plenty to admire about “NORTH AND SOUTH: BOOK II”. 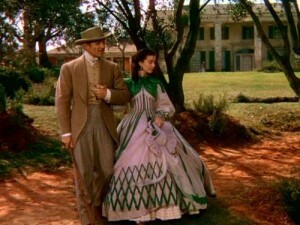 Like its predecessor,“NORTH AND SOUTH”; it has its share of good acting, exciting sequences, drama, superb production values, and probably the best costume design in the entire trilogy, thanks to Robert Fletcher’s work. Unfortunately, the 1986 miniseries has its share of major flaws that included clunky dialogue and probably some of the worst writing in the entire trilogy. 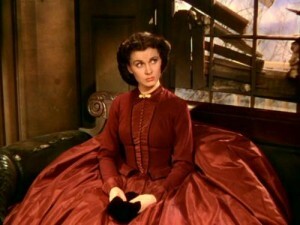 And when I say the entire trilogy, I am including the much reviled “NORTH AND SOUTH III: HEAVEN AND HELL”. “NORTH AND SOUTH: BOOK II” might be my least favorite chapter in the television trilogy, thanks to a great deal of plot holes and historical inaccuracies . . . I still managed to enjoyed it anyway. 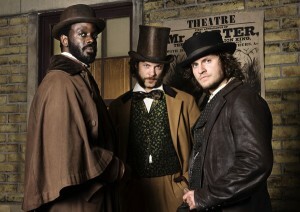 I have mixed feelings about Episode Three of “NORTH AND SOUTH: BOOK II”. Fortunately, most of my feelings are positive. This episode featured the Battle of Antietam, the Battle of Gettysburg, and a major schism in the Main family, regarding Madeline Main and her two sisters-in-law – Brett Hazard and Ashton Huntoon. But there was still certain aspects of this episode that I did not find particularly appealing. I found the first half of this episode to be rather dull. Those reading this article would find this statement surprising, since the Battle of Antietam was featured in this first third of the episode. But I did. Following President Abraham Lincoln’s Emancipation Proclamation, one of the Mains’ slaves, Jim, decided to take matters into hands and run away. Unfortunately, he was caught and killed by the Mains’ former overseer, Salem Jones. I will admit that the reaction to Jim’s death proved to be slightly interesting, thanks to the excellent acting by Erica Gimbel, Beau Billingslea and especially Forest Whitaker; who portrayed Semiramis, Ezra and Cuffey. I was especially impressed by Whitaker’s performance as he conveyed Cuffey’s bitterness over being owned by the Mains. However, I found Brett and Madeline’s presence at Jim’s funeral to be a touch patronizing. But that is merely a private opinion. Now, I had no problems with Kevin Connor’s direction of the Battle of Antietam. I believe he did the right thing by keeping the battle solely focused upon Billy Hazard and Charles Main. This allowed their brief reunion to be not only surprising, but dramatic. But I do have one major quibble about this particular sequence. How did Charles and his fellow officer, Ambrose Pell go from being cavalry scouts to leading large bodies of infantry troops on the field? If the miniseries had earlier included a small band of scouts under their command, I could see them leading these men into battle. But large bodies of infantry troops? Were the officers of these troops dead? And what kind of troops were they leading? Infantry or dismounted cavalry? I found this kind of inconsistent vagueness very irritating. The Battle of Gettysburg was better handled . . . somewhat. Considering it was one of the major conflicts of the war and fought in the same region – Southern Pennsylvania – as the Hazards’ hometown of Lehigh Station, I was surprised that the screenplay did not focus too highly on it. The battle was simply used as a literary device for the reunion of George and Billy Hazard and an excuse for the latter to go AWOL and see Brett. The second half of Episode Three turned out to be a big improvement. Most of the slaves left Mont Royal and I did not blame them one bit. Orry’s reaction to their departure was interesting, considering how “BOOK I” had established his slight aversion to slavery. More importantly, his character came off as increasingly conservative. I found this surprising, considering that in the novel, “Love and War”, his views on slavery and racial relations had become slightly more radical. I found that little moment in which Orry bid his mother Clarissa Main good-bye, following his furlough, rather lovely and touching, thanks to the performances of Patrick Swayze and Jean Simmons. But I have mixed feelings about Billy’s decision to go AWOL in order to see Brett in South Carolina. Frankly, I found it disturbing. I do not blame him for missing Brett. But if the writers had not sent her to South Carolina in that ridiculous story line in Episode 2, she would have remained in the North and Billy would not have went AWOL. And his decision to head for South Carolina will prove to be troublesome for Episode Four‘s plot. I am also remain dumfounded by George’s position in the Union Army. During his reunion with Billy before the Gettysburg battle, he claimed that he had been transferred to field duty. And he was seen commanding artillery units. Yet, after the battle, he was seen attending another meeting with President Lincoln and his Cabinet. What the hell? The screenwriters really screwed up this time. The episode’s second half, Ashton Main Huntoon’s appearance at Mont Royal really stirred things a bit. I found it to be the episode’s most enjoyable segment. Before I explain why I enjoyed it, I have to say a few words regarding Ashton’s reason for visiting her home – namely to confront Madeline about her African ancestry and drive her from Mont Royal and Orry’s radar. If I must be frank, I found Ashton and Bent’s revenge against Orry by using Madeline’s family secret, a bit . . . anti-climatic. Frankly, I thought they could have exposed Madeline’s secret in a more dramatic and satisfying moment – like during a political party in Richmond (which happened in the novel) or expose the secret to the Mains’ neighbors. 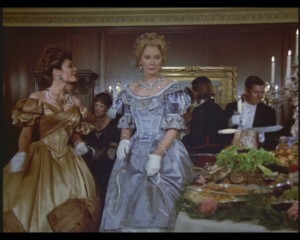 However, their act of revenge did result in a marvelous scene well acted by Terri Garber and Lesley Anne Down. Semiramis’ rant against Ashton, thanks to another great piece of acting from Gimpel, was nice touch, although a bit fruitless. But it was Brett’s confrontation with Ashton that really did justice to this episode. Kudos to Garber and especially Genie Francis. Francis also shared an excellent scene with Parker Stevenson, who as Billy Hazard expressed his growing discontent with the war. There is one major problem with this sequence. When Ashton arrived at Mont Royal, she carried foodstuff for the plantation. This makes no sense whatsoever. Ashton was traveling from a state – namely Virginia – that had been ravaged by two years of war. The amount of foodstuff she was carrying from Virginia should have been rare. South Carolina, on the other hand, had been freed of any battles by 1863, aside from the Sea Islands and the forts off the coast of Charleston. There should have been plenty of foodstuff at Mont Royal, thanks to Madeline, Brett, Semiramis and Ezra. 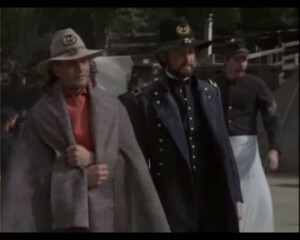 Anthony Zerbe made his first appearance as General Ulysses S. Grant, whom George had traveled all the way to Tennessee to meet, on behalf of President Lincoln. Veteran stars James Stewart and Olivia De Havilland appeared near the end of this episode. Did anyone know that those two had once dated in the late 1930s? Anyway, Stewart gave a charming performance as Madeline’s Charleston attorney, despite his Midwestern accent. 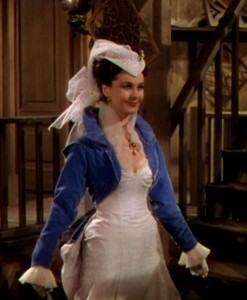 However, De Havilland’s portrayal as Virgilia Hazard’s field hospital supervisor, Mrs. Neal, proved to be more interesting and complex. I could not decide which character was more irritating – Virgilia’s arrogant disregard for Mrs. Neal’s advice, or the latter’s patronizing concern for Southern patients at the expense of the other patients and her unfounded suspicions that Virgilia was ignoring them. 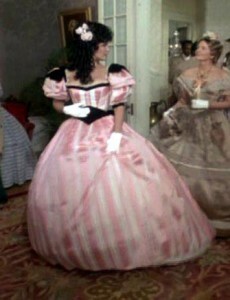 Both De Havilland and Kirstie Alley gave superb performances in their scenes together. Despite a some quibbles and a dull first half hour, Episode Three was an improvement over Episode Two. I was surprised by the number of excellent dramatic moments and first-rate acting in this episode. Also Kevin Connor’s direction of the Battle of Antietam and Gettysburg struck me as pretty damn good. I could say that Episode Three was the highlight of the 1986 miniseries. But I do not believe I would go that far. 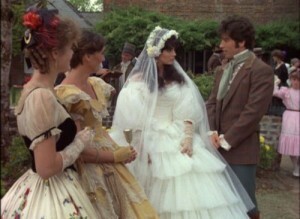 Judging from past articles I have written about the “NORTH AND SOUTH” Trilogy, one would surmise that of the three miniseries that have aired in the past decades (two in the 1980s and one in the 1990s) that I seemed to have the most problem with the second miniseries in the trilogy, namely “NORTH AND SOUTH: BOOK II”. And if I have to be honest, one would be right. It is odd that I would choose the second miniseries as the most problematic of the three. “NORTH AND SOUTH: BOOK II” is set during the four years of the Civil War – a historical conflict that has heavily attracted my attention for so many years that I cannot measure how long. 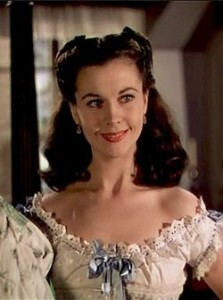 “HEAVEN AND HELL: NORTH AND SOUTH BOOK III”, which had aired at least seven-and-a-half years after the second miniseries, was set during the early years of Reconstruction and has a reputation among the “NORTH AND SOUTH”fans as being inferior to the other two. But for some reason, I have had more of a problem with “BOOK II”. 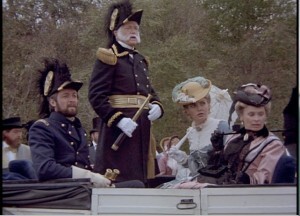 So I have decided to examine each of the six episodes of the 1986 miniseries to determine why this chapter in the “NORTH AND SOUTH” trilogy is such a problem for me. Without a doubt, Episode One of “BOOK II” is my favorite in the entire miniseries. 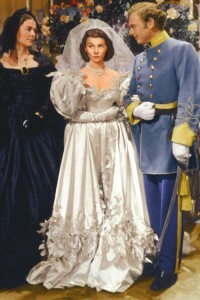 It re-introduced the main characters from the first miniseries in the story. It also set the stage for the main characters’ experiences during the war, for the rest of the miniseries. It featured an excellent opening shot on the streets of Washington D.C. that introduced both Brett Main Hazard, and the slave Semiramis. 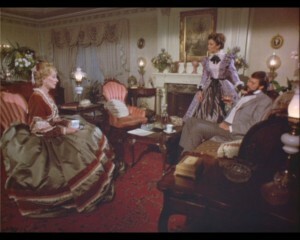 It also featured a well shot sequence that centered around a colorful ball at the Spotswood Hotel in Richmond, attended by Ashton and James Huntoon, and Elkhannah Bent. Most importantly, it featured one of my favorite battle scenes – namely the Battle of Bull Run that was fought near Manassas, Virginia on July 18, 1861. If I have to be frank, this interpretation of Bull Run remains my favorite. Director Kevin Connors filmed the entire sequence with great style and skill and composer Bill Conti injected it with a brash, yet haunting score that still give me goose bumps whenever I watch it. Even better, the sequence ended with actress Wendy Kilbourne uttering one of the best lines in the entire trilogy. I do have a few quibbles about Episode One. First of all, it introduced Charles Main’s role as a cavalry scout for the Confederate Army. Considering that he started out as a Captain in this miniseries, it made no sense to me that he and another officer – a first lieutenant – would be participating scout duties without the assistance of enlisted men. I guess one could call it as an example of the story being historically inaccurate. And I wish someone would explain why the Mains’ neighbors (or slaves) sent word to Brett Main Hazard in Washington D.C., of the injuries her mother, Clarissa Main, had suffered when Mont Royal’s barn was set on fire by Justin La Motte. Would it have been a lot easier (and quicker) to send word to Orry Main, who was on duty in Richmond, Virginia? I find the idea of both George Hazard and Orry Main serving as military aides to their respective political leaders – Abraham Lincoln and Jefferson Davis – very improbable. Following their graduation from West Point in 1846, the two friends had only served at least 18 months in the U.S. Army before resigning for personal reasons. Yet, after the outbreak of a civil war, thirteen years, the audience is supposed to believe that both were able to secure such high positions within their respective armies? Especially when one considers the fact that neither were politically active between 1848 and 1861? I find this very illogical . . . even for a work of fiction. My last major quibble featured the character of Elkhannah Bent. What was he doing with the portrait of Madeline Fabray LaMotte’s mother? The audience knew that he had procured it from an expensive whorehouse in New Orleans. But Bent had no idea that Madeline was romantically involved with one of his nemesis, Orry Main, until after Ashton Main Huntoon informed him. So, why did he bother to get his hands on the painting at a time when he was ignorant of the romantic and emotional connection between Orry and Madeline? I certainly had no problems with the episode’s performances. The cast, more or less, gave solid performances. But I was especially impressed by a handful. Two of the better performances came from Parker Stevenson and Genie Francis, who portrayed the recently married Billy and Brett Hazard. 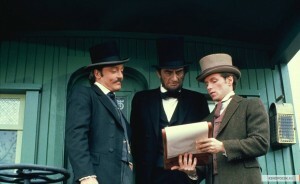 I was especially impressed by one scene in which the two nearly quarreled over Billy’s decision to transfer from the Corps of Engineers to Hiram Berdan’s Sharpshooters Regiment. 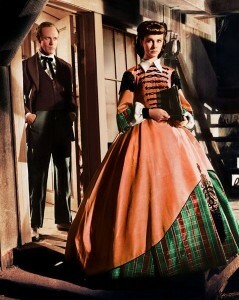 Terri Garber and Philip Casnoff literally burned the screen in their portrayal of the early stages of Ashton Main Huntoon and Elkhannah Bent’s affair. This episode featured another quarrel . . . one between George Hazard and his sister, Virgilia, who had arrived in Washington D.C. to become a nurse. Both James Read and Kirstie Alley were superb in that scene. And finally, I have to single out Forest Whitaker, who did a superb job in expressing the resentful anger that his character, Cuffey, felt toward his situation as a slave and toward his owners, the Mains. Although Episode One featured some stumbling blocks that I have already mentioned, I must say that it turned out rather well. For me, it is probably the best episode in the entire 1986 miniseries. Not only did it featured some excellent performances, it was capped with a superb sequence featuring the Battle of Bull Run, directed with skill by Kevin Connor.